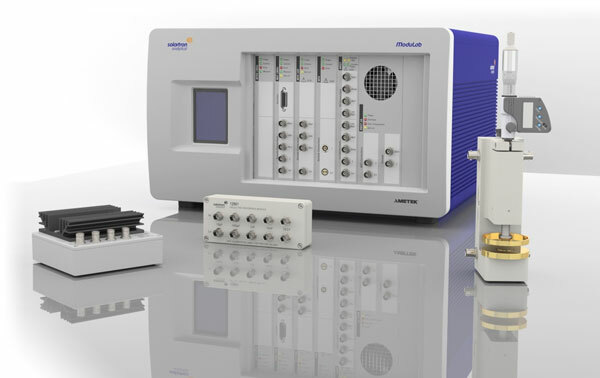 Learn the theory and practice of Electrochemical Impedance Spectroscopy at the Bath EIS Summer School 2019 on 9-12 July at the University of Bath, with Solartron Analytical. Blue Scientific is the official UK and Nordic distributor for Solartron Analytical. For more information or quotes, please get in touch. A hands-on, intensive course given by Professor Laurie Peter and colleagues at the University of Bath in collaboration with Solartron Analytical. This highly popular course has run for more than twenty years. It provides a sound foundation in both the theory and applications of Electrochemical Impedance Spectroscopy (EIS). Teaching is in small groups, with a strong emphasis on hands-on, practical exercises. A unique feature of the course is that 70% of the time is spent in the lab using Solartron instrumentation, under the guidance of course demonstrators. This establishes a strong link between theory and experiment. Introducing the principle underlying EIS methods. Full details of the lectures and experiments are included in the comprehensive course materials. Sessions begin by introducing the experimental apparatus used for impedance measurement. In the first two lab sessions, participants learn how to set up and interface the hardware and how to troubleshoot problems. The subsequent lab sessions concentrate on experiments chosen to illustrate the principles and applications of frequency response analysis. Participants will be able to operate frequency response analysers and PC-controlled potentiostats as well as interpret and fit impedance data using non-linear regression programmes. Book your place on the University of Bath’s website. Early registration is advised, as the number of places is limited to guarantee that everyone has full access to the equipment.